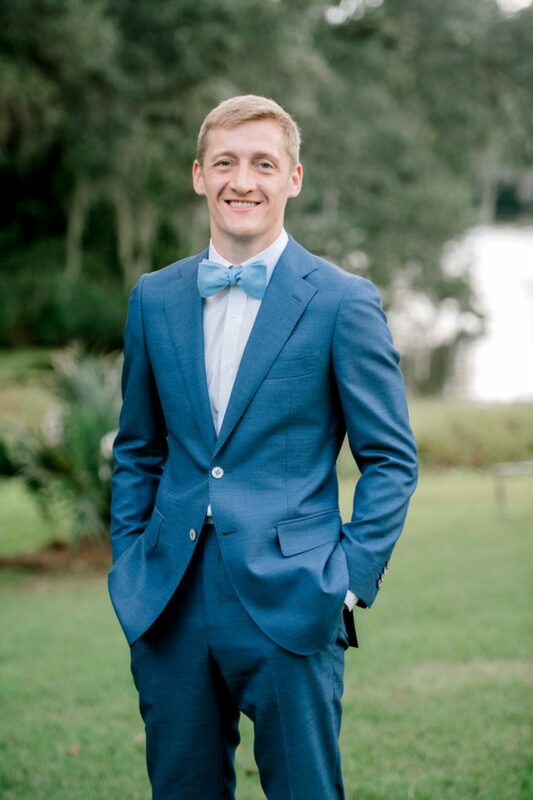 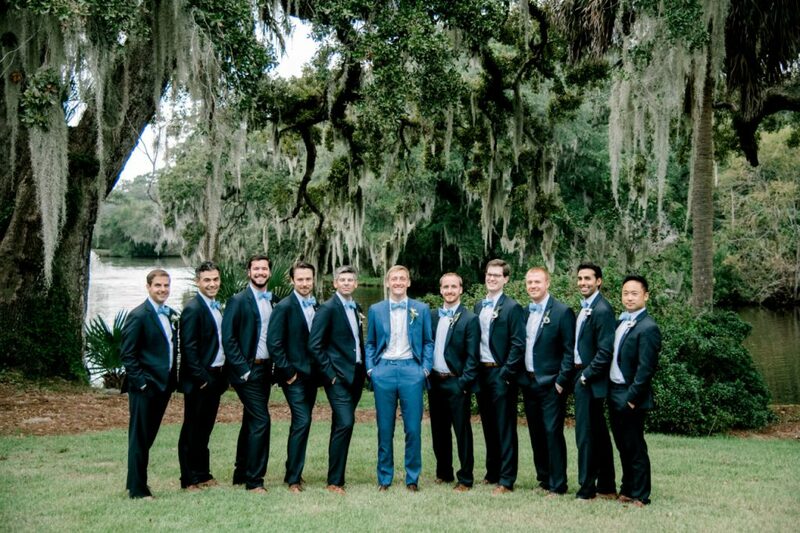 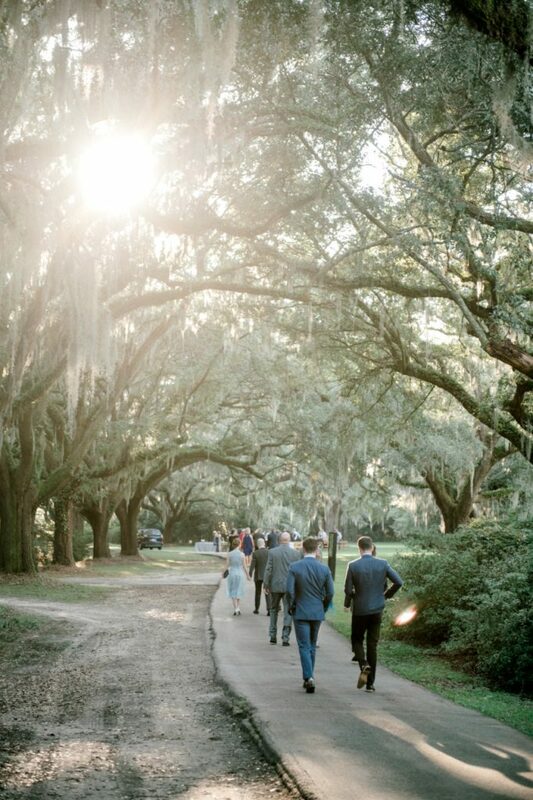 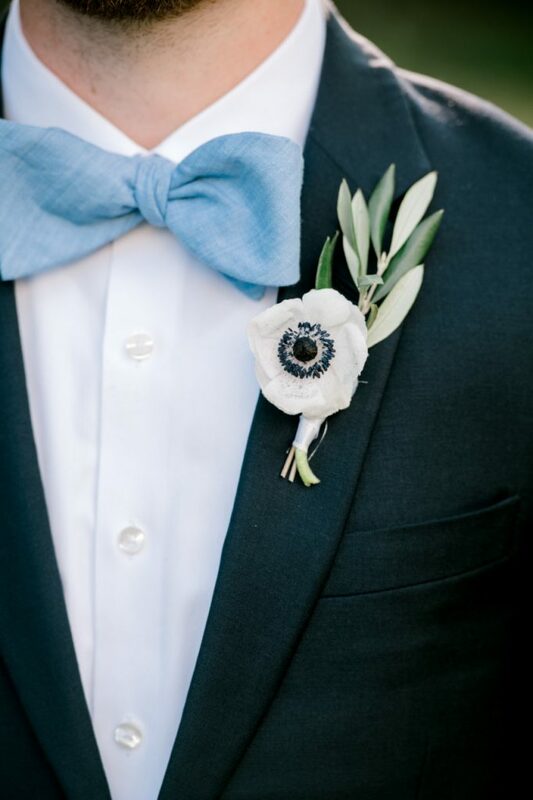 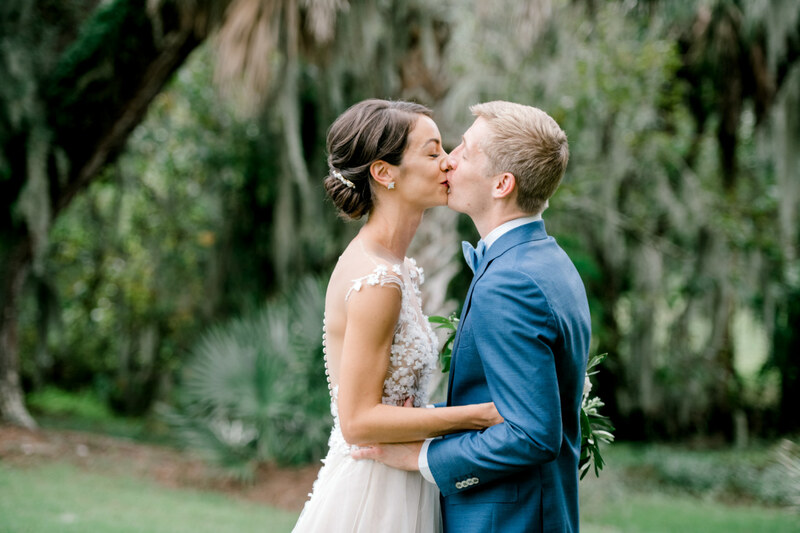 Brittany and Matt’s wedding celebration took place last October at the historic Legare Waring House in the city the couple first met several years before, Charleston, South Carolina. 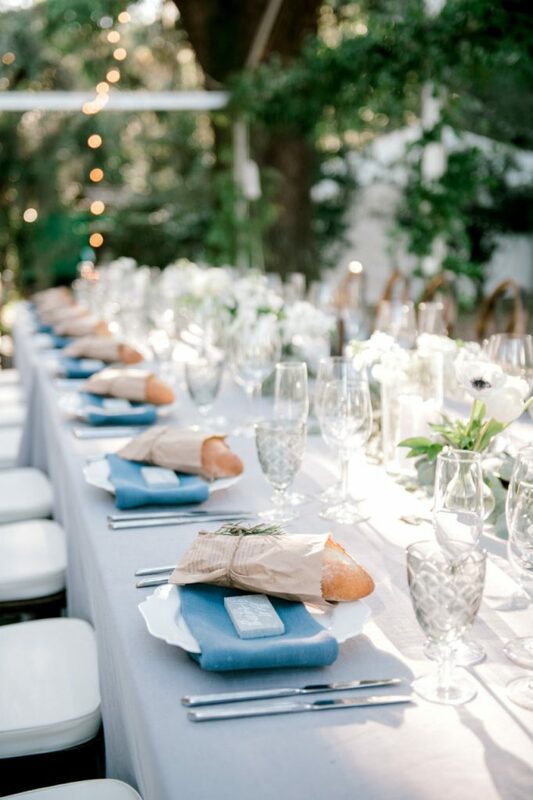 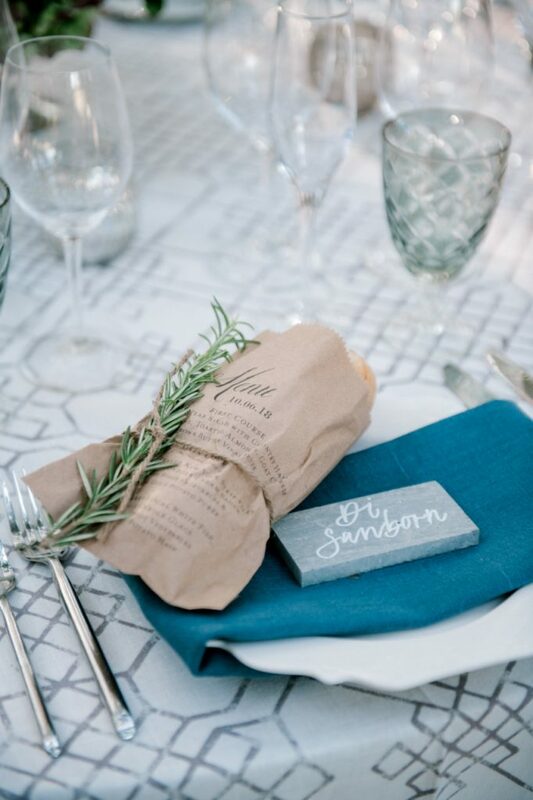 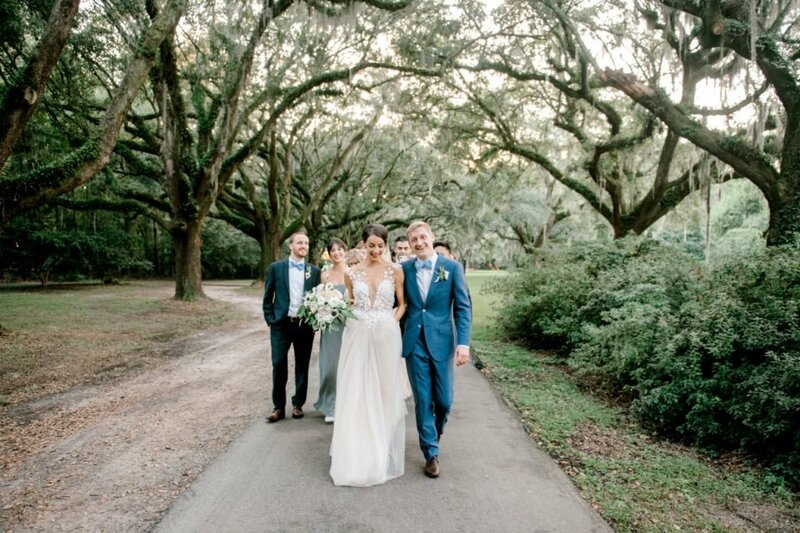 The oak-tree-lined venue, where both the ceremony and reception were held, allowed the couple to host a charming wedding which was at once laid back and elegant, natural yet refined. 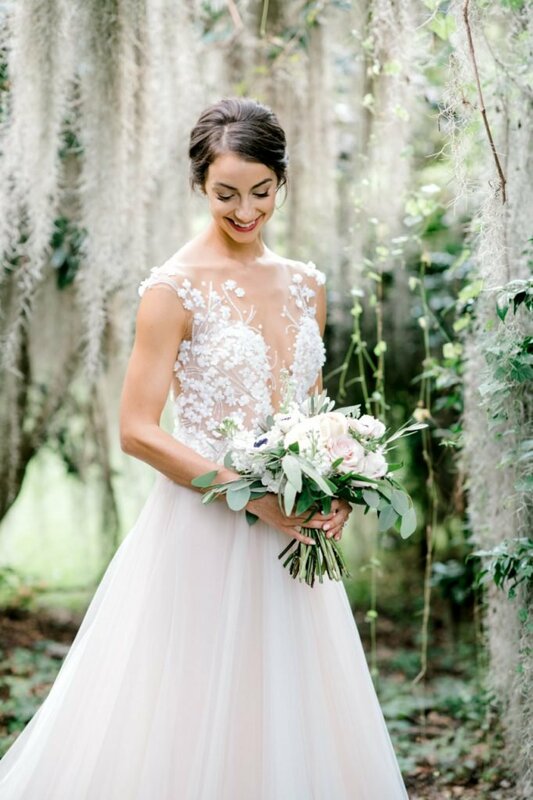 Brittany, a former ballerina, wanted a soft romantic gown for her wedding and found the LPG Ann at our NYC Flagship Salon. 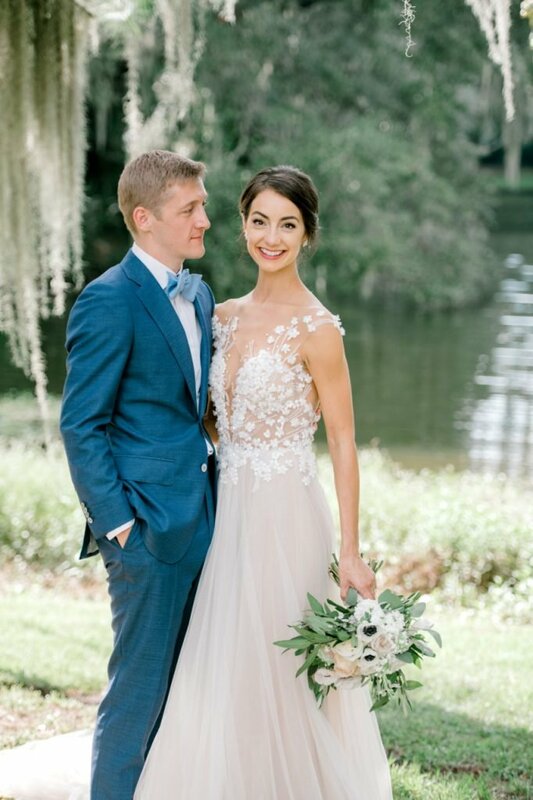 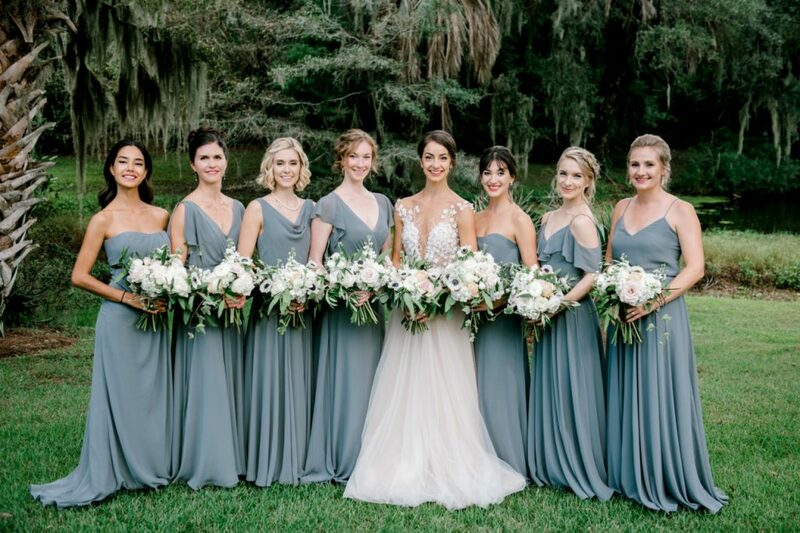 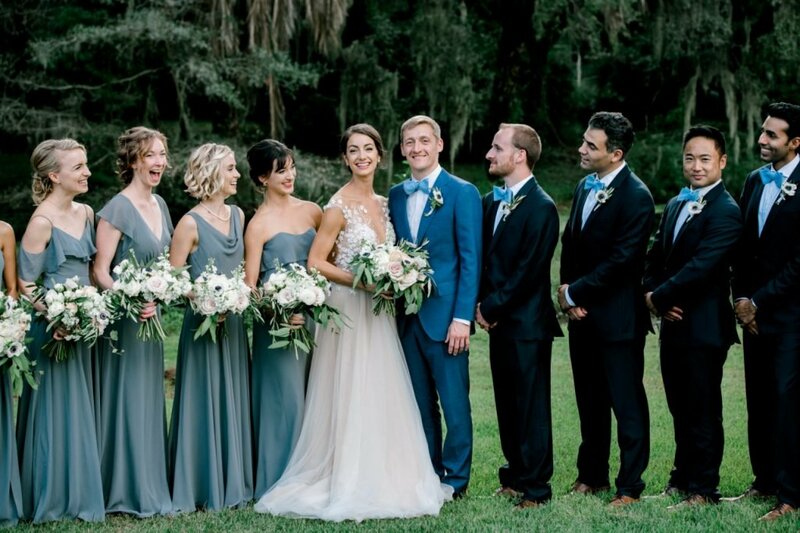 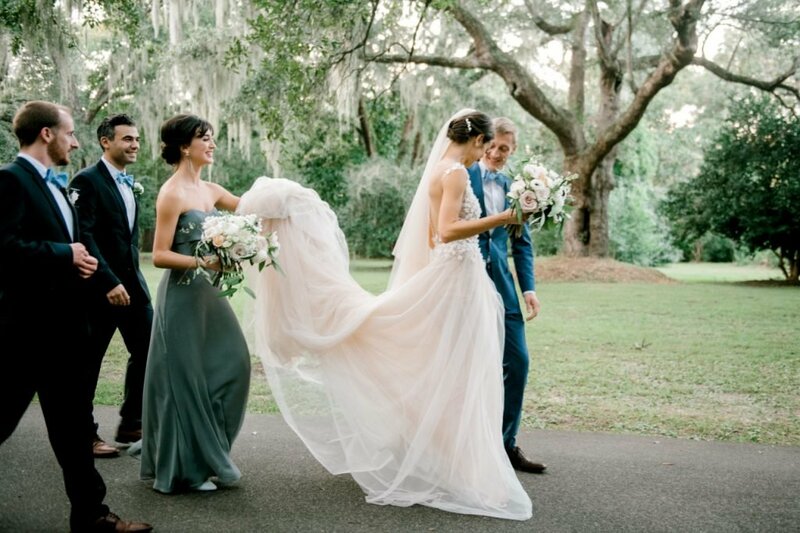 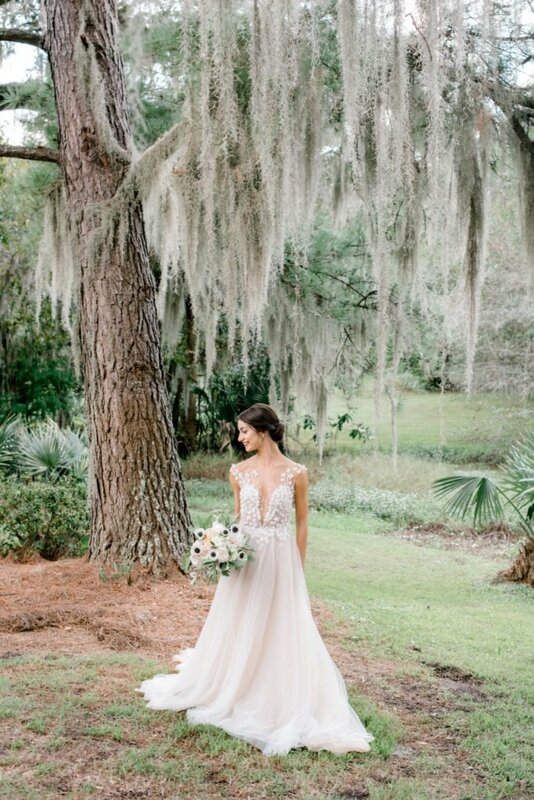 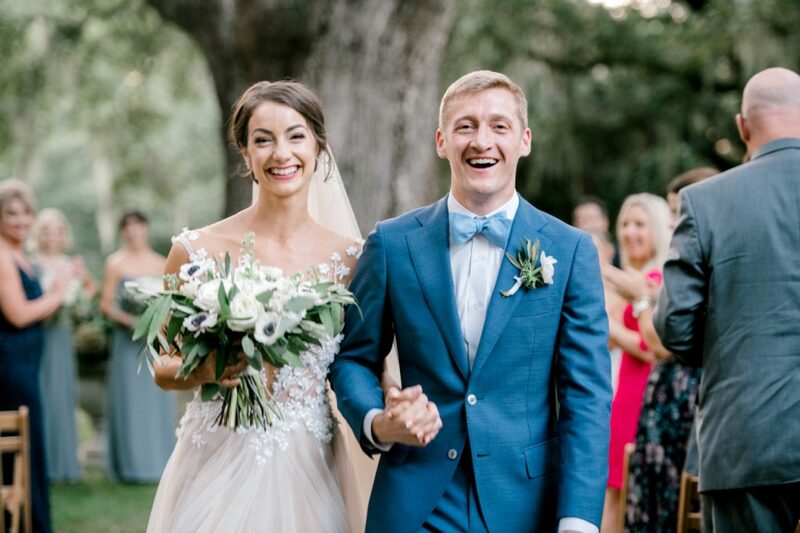 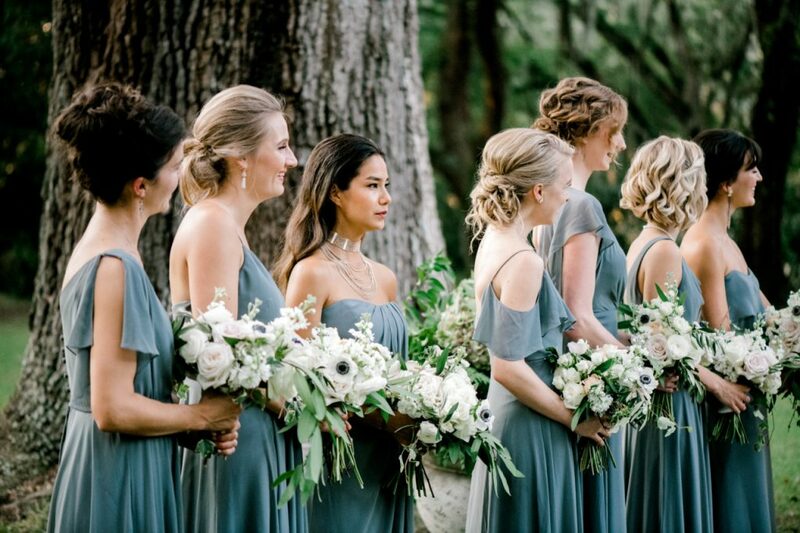 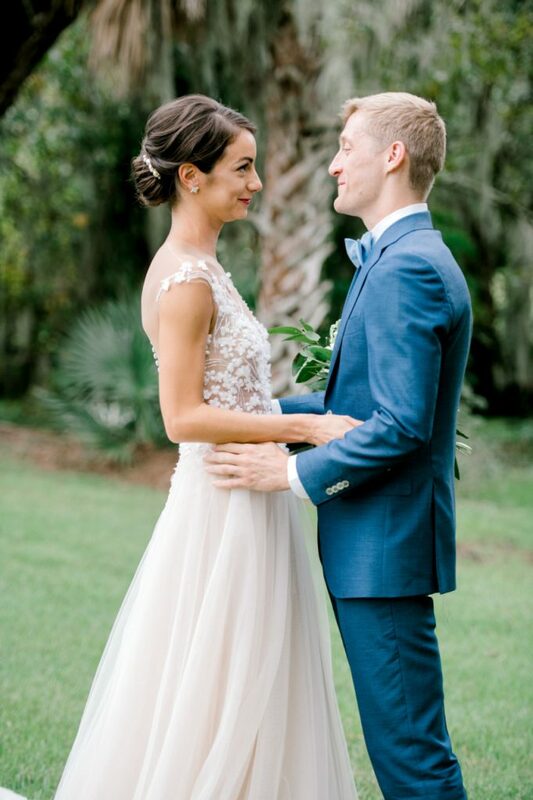 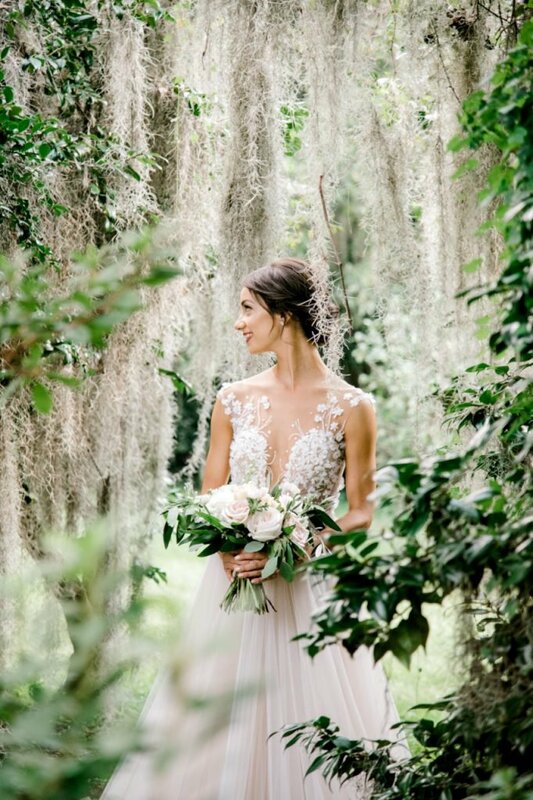 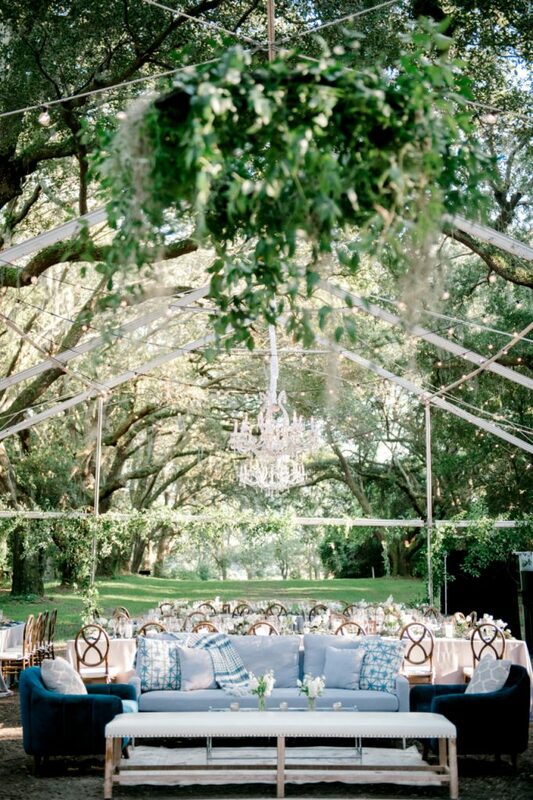 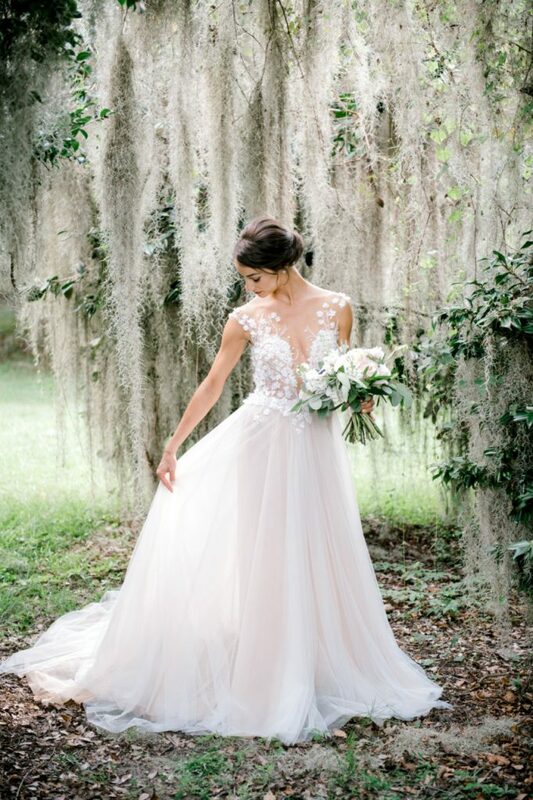 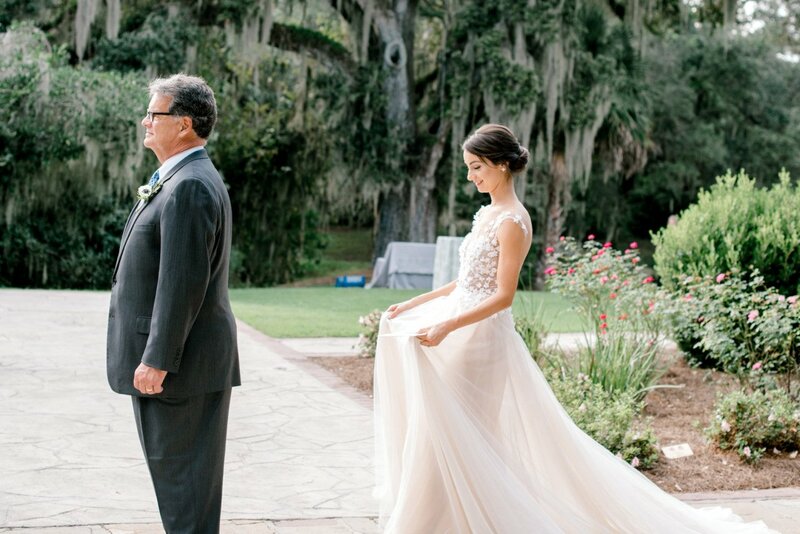 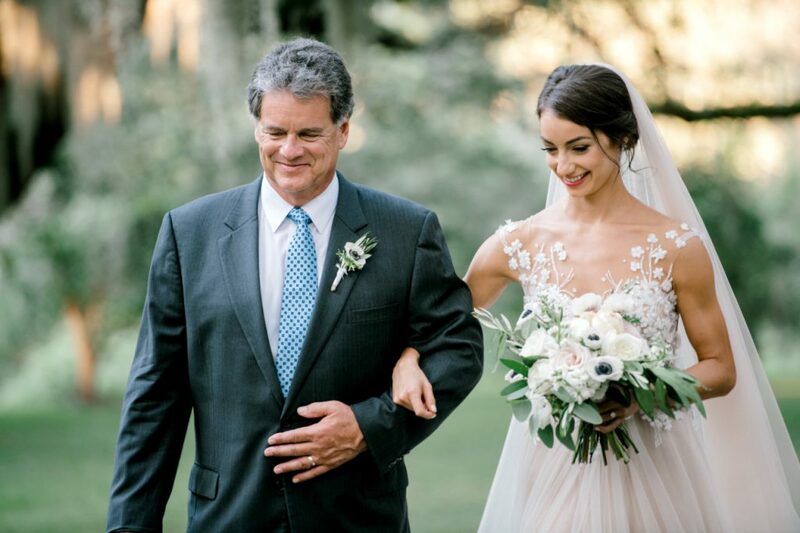 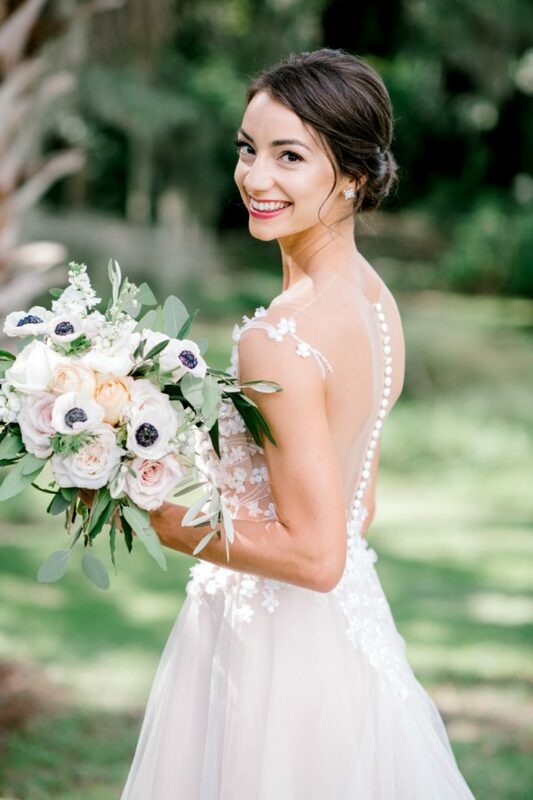 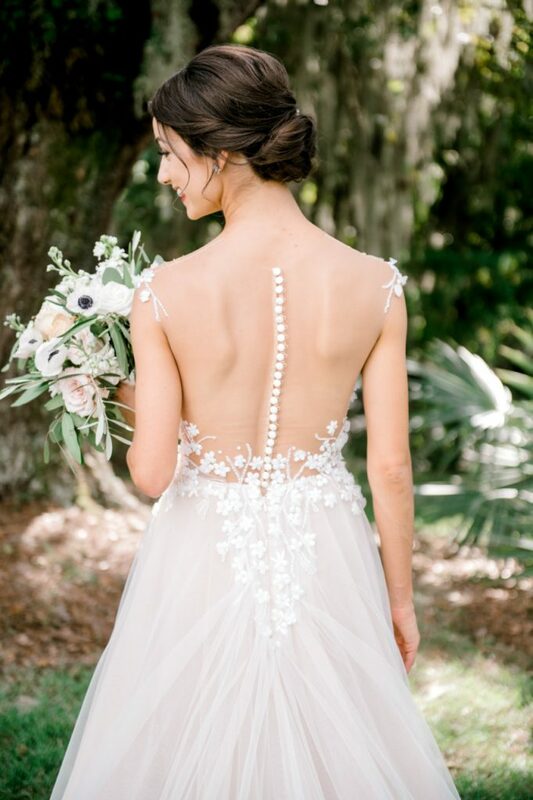 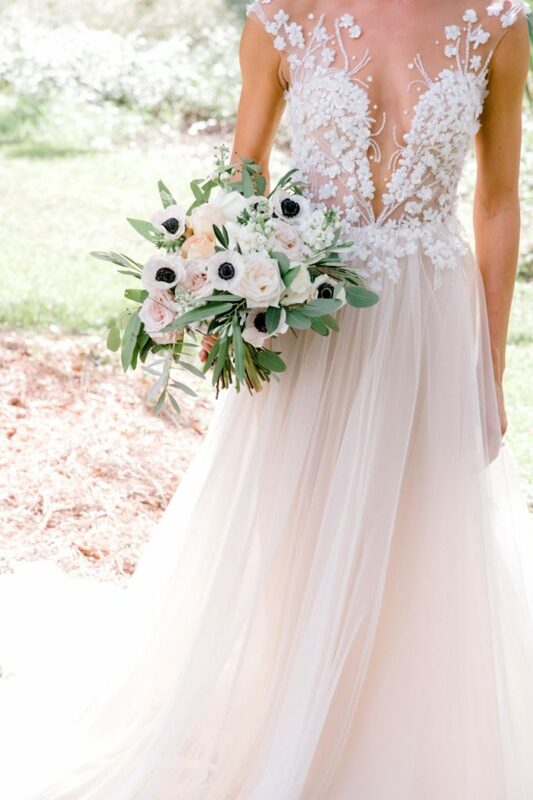 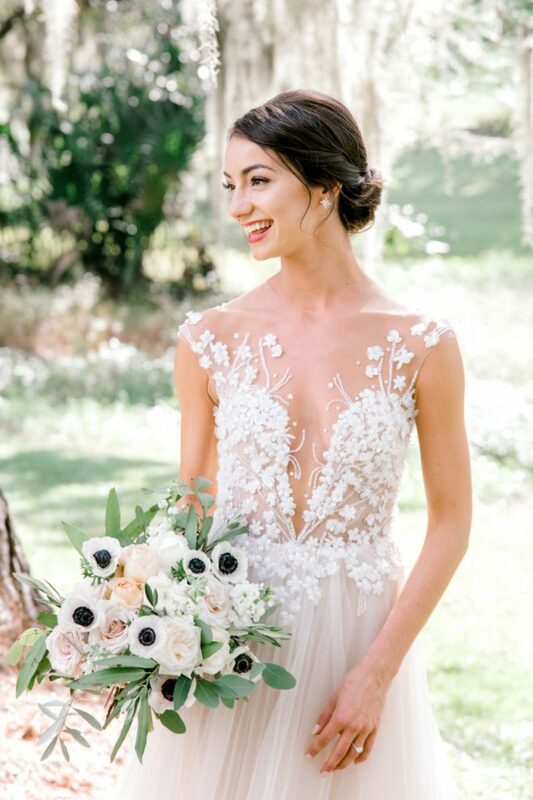 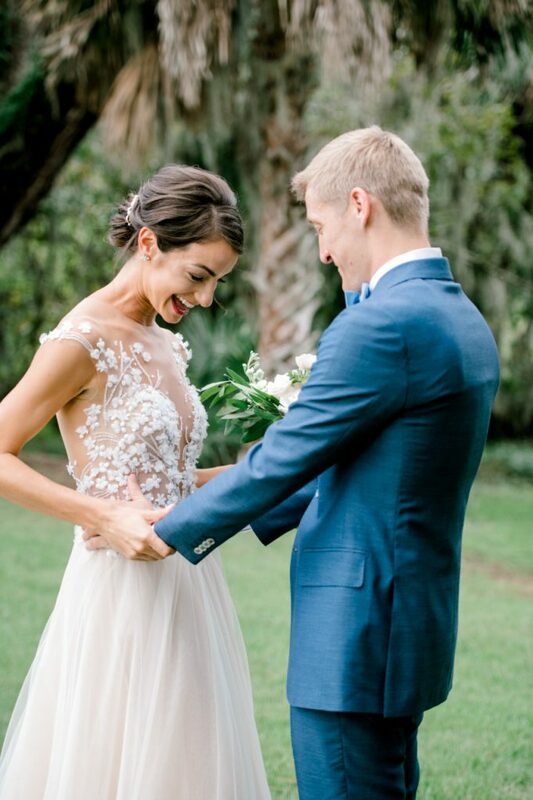 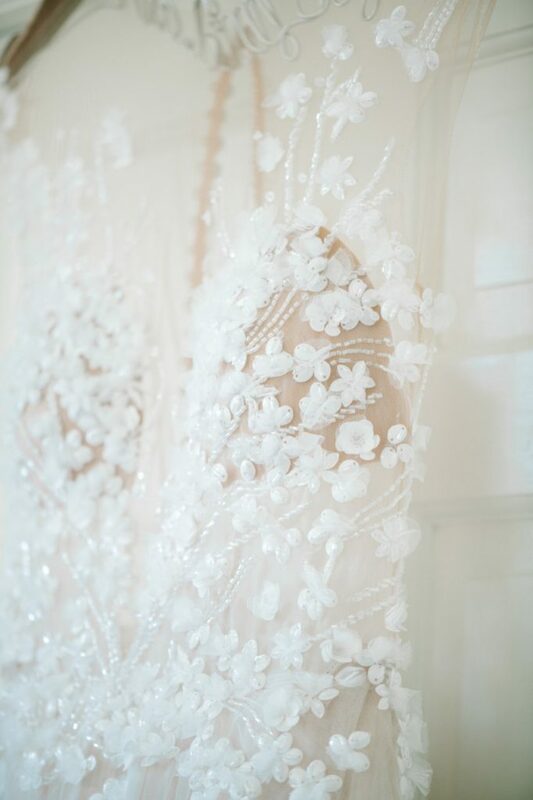 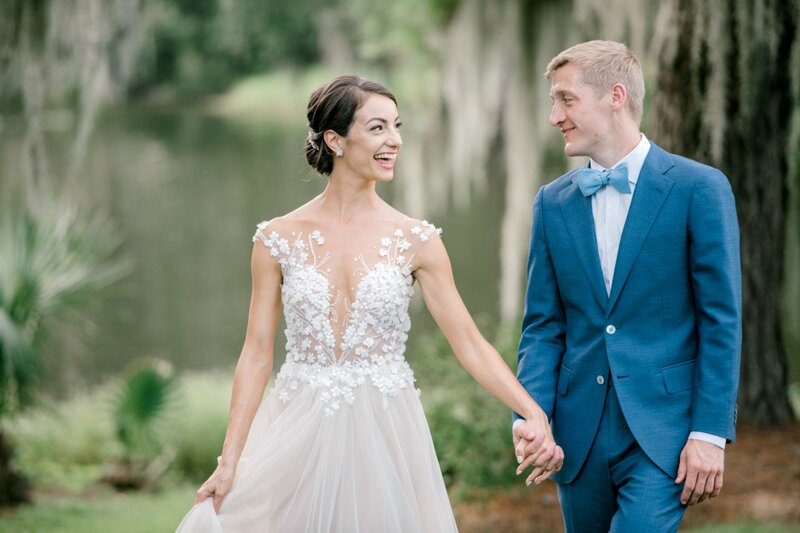 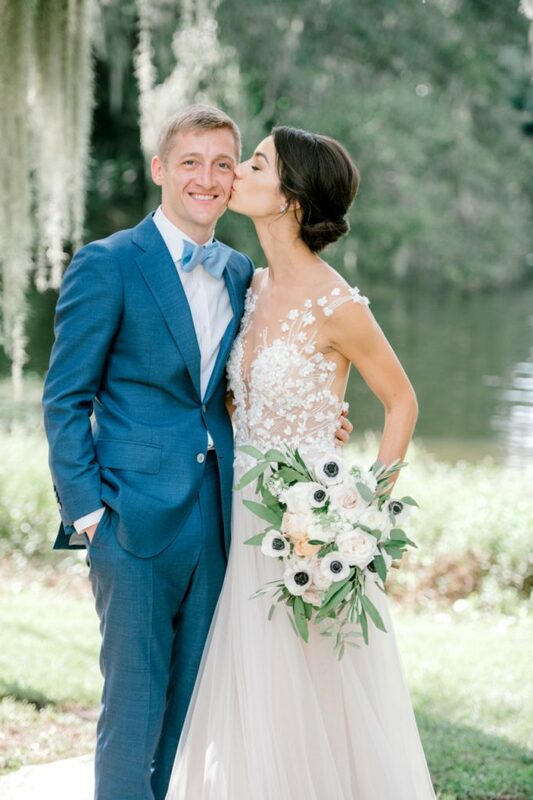 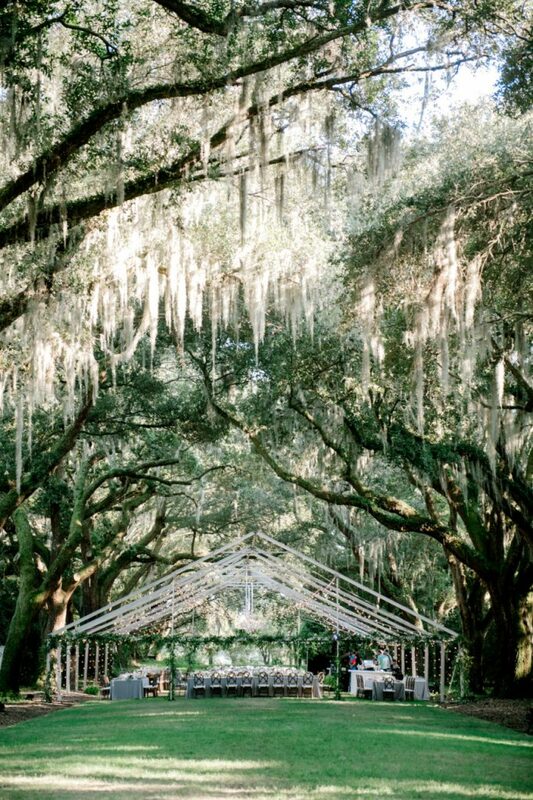 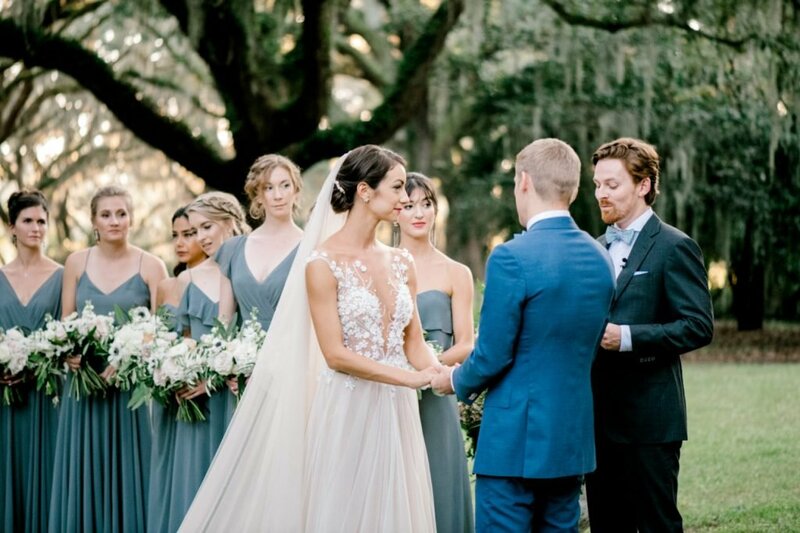 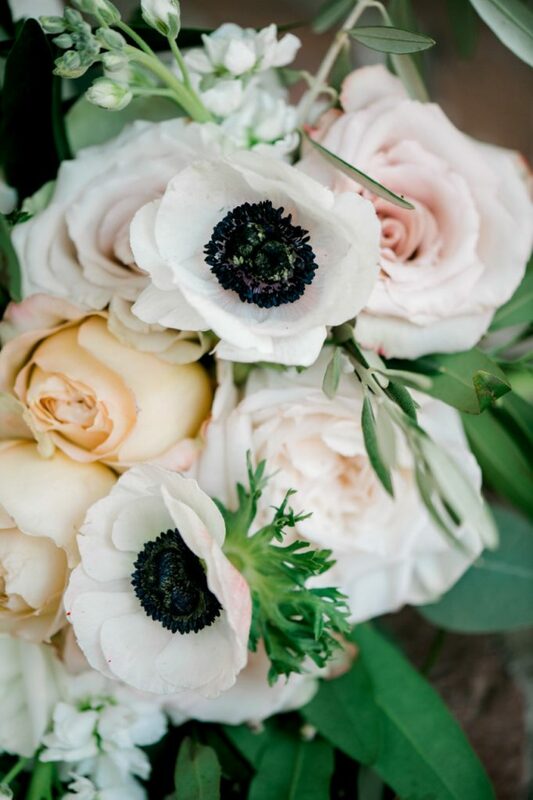 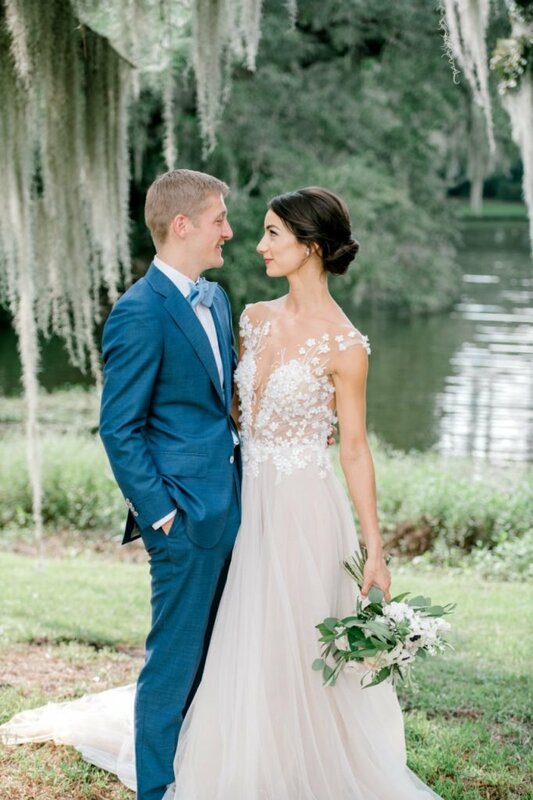 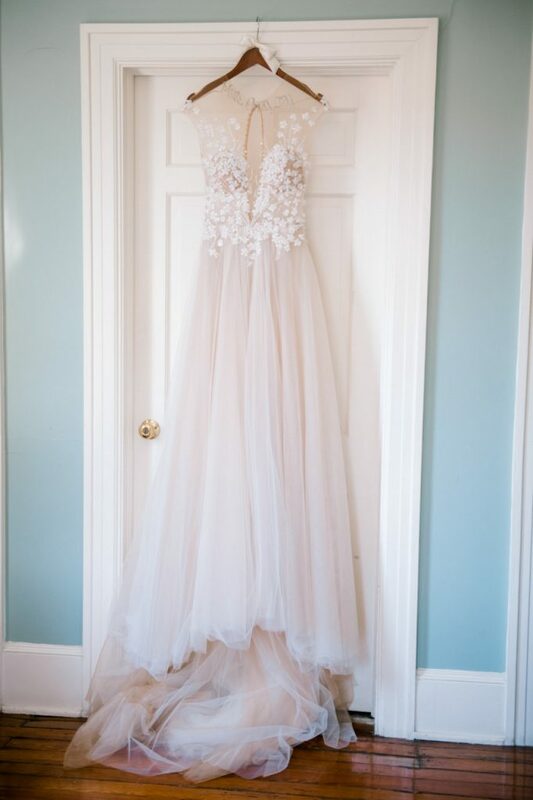 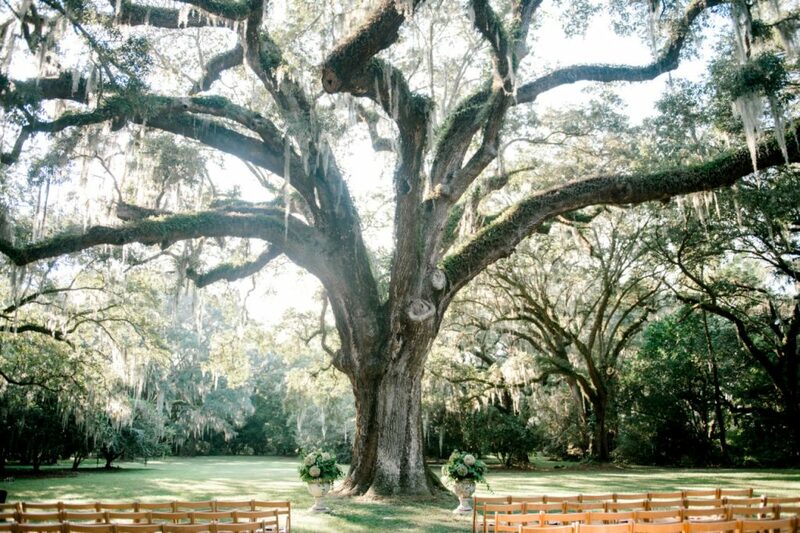 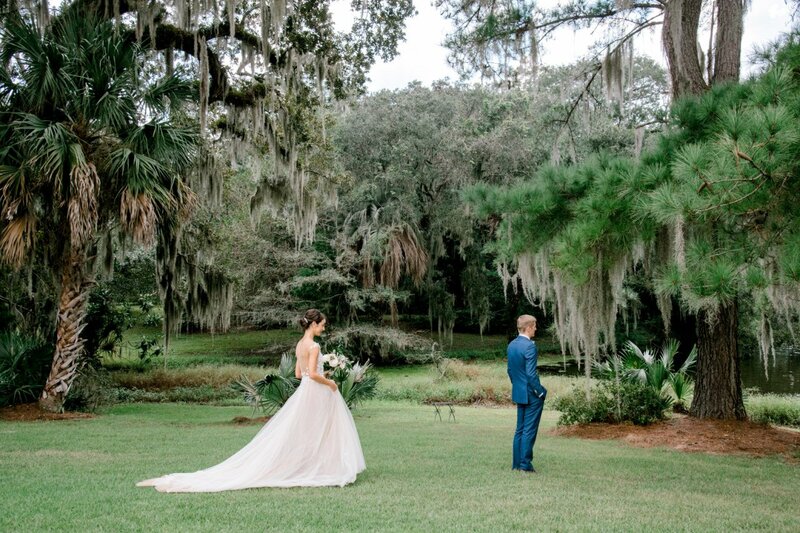 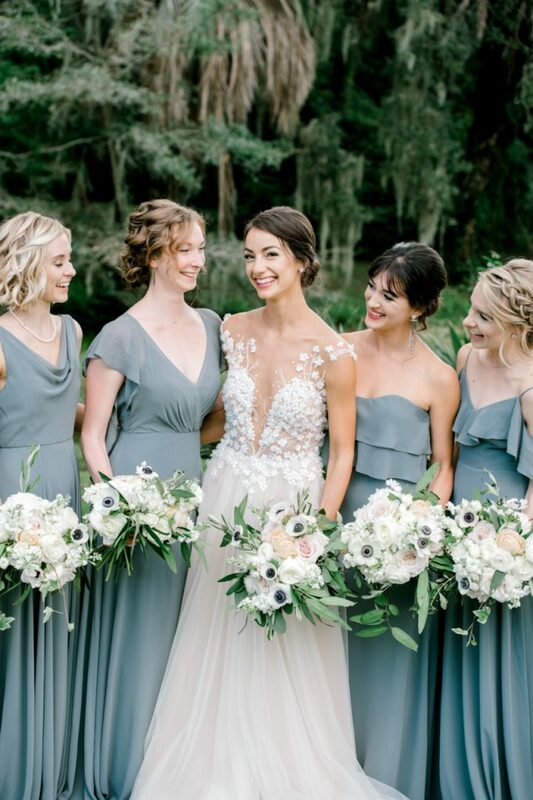 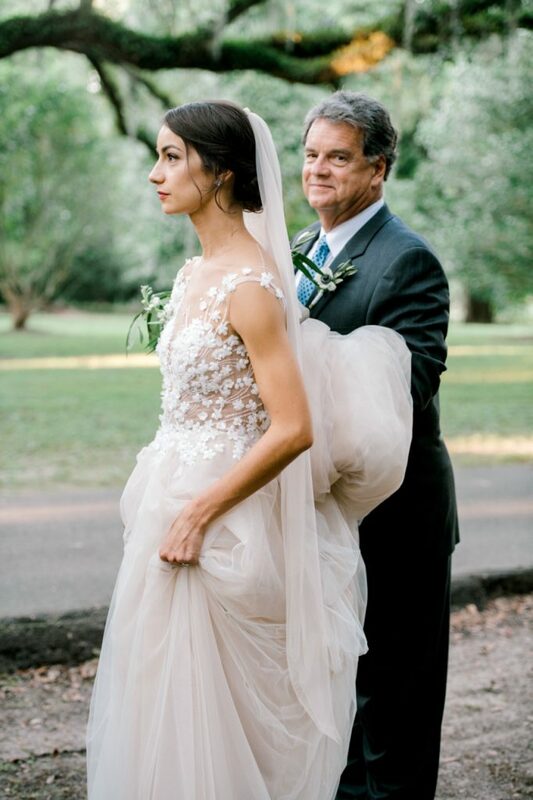 The gown’s ethereal feel and dainty floral appliqués created a soft contrast to the natural setting with its imposing oak trees and Spanish moss, and complemented the bride’s choice of wedding flowers beautifully. 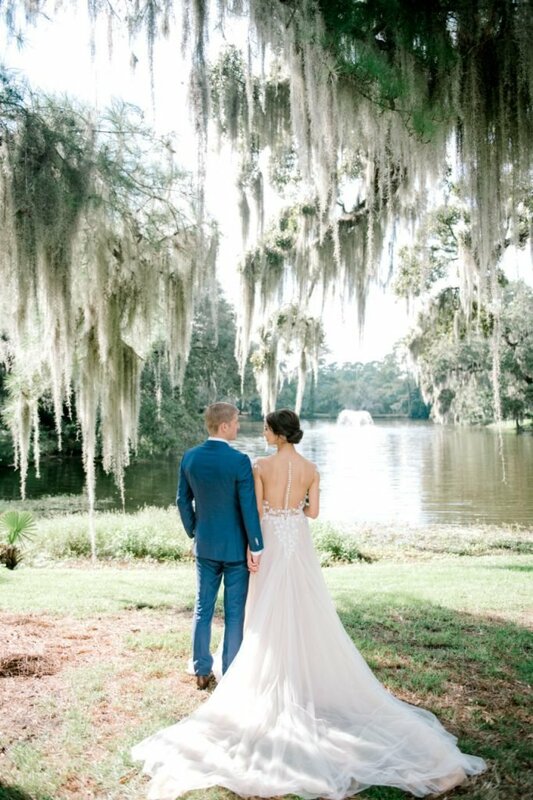 Scroll down for more of this stunning wedding, recently featured on Brides, and beautifully captured by photographer Jennings King!